The Friends of Lewis Park invite the community to the Beacon Hill Library (2821 Beacon Ave. S.) on Tuesday, November 27 from 5:30 – 8 p.m. for a public meeting to discuss the design process for the park. There will be food provided from 5 to 6:30 p.m. From 6 – 7 p.m., there will be a presentation of some preliminary design principles and information about the project as it stands now, and from 7 – 8 p.m., representatives from Hafs-Epstein Landscape Architecture will discuss the project and listen to community comments. The park improvement project is funded by a Department of Neighborhoods Small and Simple Grant. 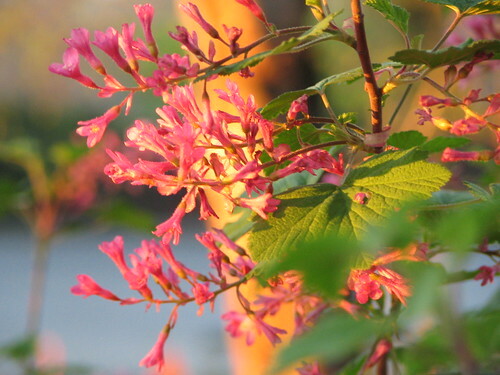 Flowers glow in sunset light in Lewis Park. Photo by Wendi Dunlap. Jocelyne Berengaria Houghton liked this on Facebook.